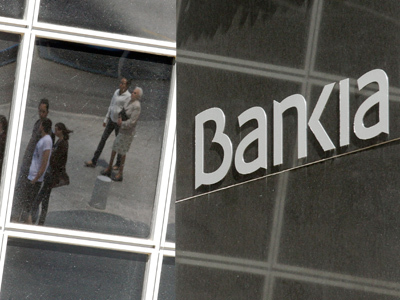 Spain's Prime Minister Mariano Rajoy says the government has no choice but to bail out Bankia. Bankia, Spain’s fourth-largest bank may need to take up Spanish state debt in return for a record bailout it asked for last week. On Monday, Rajoy said there would be no funds sought from the ECB to rescue Spanish banks, which have been crippled by Spain's real estate crisis. 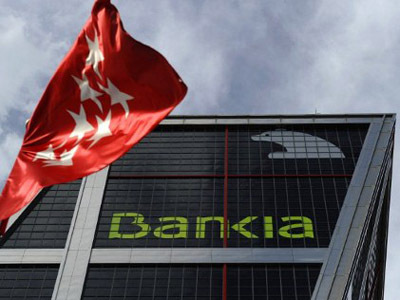 "We took the bull by the horns because the alternative was collapse,"
Bankia is estimated to have €32 billion in toxic assets and was effectively nationalized earlier this month when the government converted €4.5 billion in rescue funds it gave last June into shares. Over the weekend Spain had suggested it could sidestep the rising cost of borrowing in the bond markets by swapping €19bn in government bonds directly for equity in BFA, Bankia's parent. warned Jose Carlos Diez, economist at Intermoney Valores. Spanish officials said on Monday that its plan to raise funds for the Bankia rescue plan was still based on borrowing in the bond markets, to which Spain still had access. The ECB is reported to have no objections towards the recapitalisation plans of the Spanish government. Earlier the bank announced it will need €19 billion, or $23.84 billion, in state aid. Coupled with another €4.5 billion that the lender received from the state earlier, it’ll make for a record high government rescue in Spain of more than €23 billion.Even so, the sum could still prove to be insufficient, as the bank is estimated to have €32 billion in toxic assets following the collapse of Spain's real estate sector in 2008. General concern over the bailout plans for the troubled lender and the country's ability to finance itself hit the bank's shares and spurred Spain's borrowing costs Monday. BFA, Bankia's parent, on Monday night announced that it had revised its 2011 results to reflect a €3.3billion loss at Bankia, rather than a €41million profit, following its bailout. 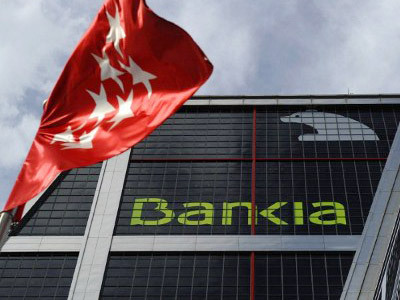 Shares in Bankia slumped as much as 29% when they resumed trading Monday, though the losses narrowed and in afternoon trading it was down 13.38% at €1.36. The yield on Spain's benchmark 10-year bond – an indicator of investor wariness – was at 6.45%, up 16 basis points, closer to the 7 per cent level that prompted bailouts for Greece, Portugal and Ireland. 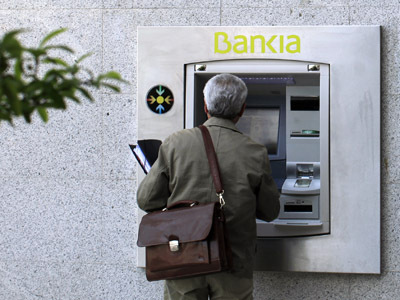 Last week Bankia as well as two other banks -Banko Popular Espanol and Bankinter had their credit ratings cut to junk by Standard&Poors, which cited Spain’s weakening economy.